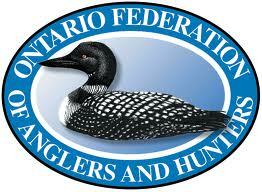 A big shout out to OFAH and all the work they do to preserve Ontario’s wild heritage. If not for them, I am sure I wouldn’t have much to write about on this blog! Take a few minutes to look into what they are about and perhaps make a donation if you are so included! This entry was posted in Canoeing/Portaging, Fishing, Foraging, Hiking, Hunting, Resources, Uncategorized. Bookmark the permalink.